Caveats: I'm a fan with a camera, not an accomplished photographer; I take a lot of photos so this is a big album; all pics are cropped and resized but otherwise unedited. The LMP demo on Saturday evening was almost a brilliant idea. There was actually a lovely sunset, but a slight overrun of the programme meant the LMPs starting just late enough to miss the sunset and run in the dark. By this point it was also very cold and I reckon 90% of the crowd had left. 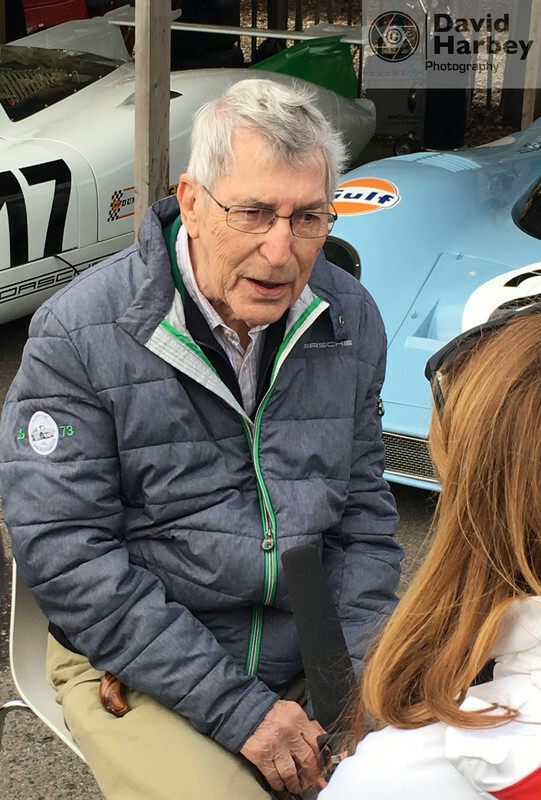 The clash with the Peter Auto meeting in Barcelona also meant a lot of cars which might have been at Goodwood were racing in warmer climes instead. The NASCAR's were raucous and fun, but it seemed pretty clear some of them wanted to go a bit faster and were held back behind the safety car. Procars were a bit of a disappointment - only half a dozen, three identically liveried, doesn't make for much of a spectacle despite the interesting history. One of them was spitting flames though, which is always fun. The 917 display was terrific, a nice bonus. They only ran one lap on Saturday but Sunday was a lot longer. I adore the raw brutality of the Can-Am machine and the timeless beauty of the Gulf car. Also here are some pics of the McLaren display (including first sight of the astonishingly ugly Senna GTR).